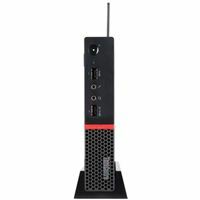 The ThinkCentre M625q Tiny Desktop Computer from Lenovo harnesses the full potential of your network servers to provide rendering performance for robust workloads. Utilizing a 1.8 GHz AMD A9-9420E dual-core processor and 4GB of DDR4 memory, the M625q provides efficient processing and easy multitasking. 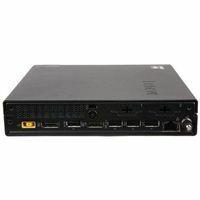 The M625q houses a 128GB SSD for storing your files and handling the system's overall virtualized environment. In terms of graphics, the M625q has an integrated AMD Radeon R5 chipset that delivers crystal clear images.